When you’re planning an adventure getaway in Alabama, Cullman might not immediately come to mind. After all, until recently, it was a dry city where you couldn’t buy alcohol, and beer just seems to naturally accompany outdoor fun. But the town has loosened up in the last few years, and the summer of 2016 marked the launch of the first craft brewery within city limits. The brewery pairs well with the area's myriad options for outdoor adventure, including a new hiking and biking trail at the Duck River reservoir. 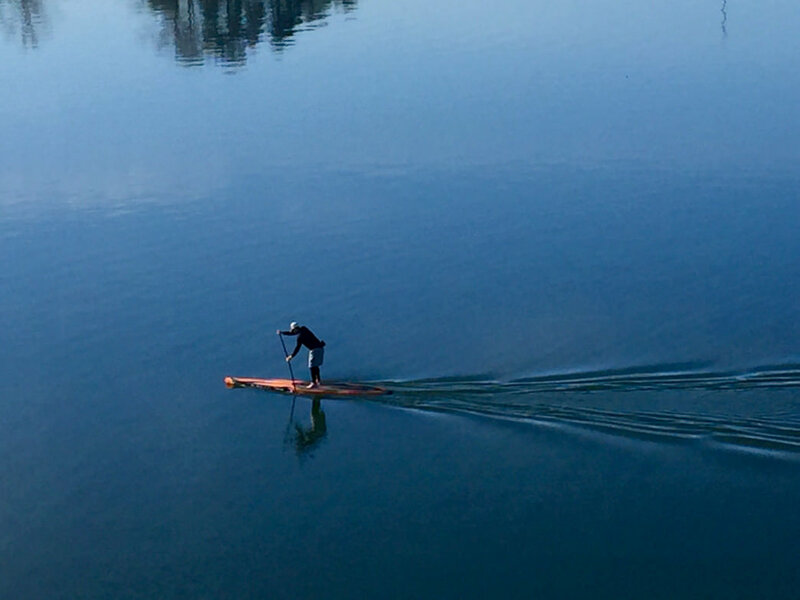 In addition, a stand-up paddleboard vendor now serves those who want to cruise Smith Lake. For a quick summer escape to Cullman, consider this itinerary that includes SUP, biking and hiking, plus stops for great beer and food. The 3.5-mile Duck River hiking and biking trail follows the shore of the new 650-acre Duck River Reservoir. Great for beginner and intermediate bikers, the singletrack trail has little change in elevation and no extended climbs. 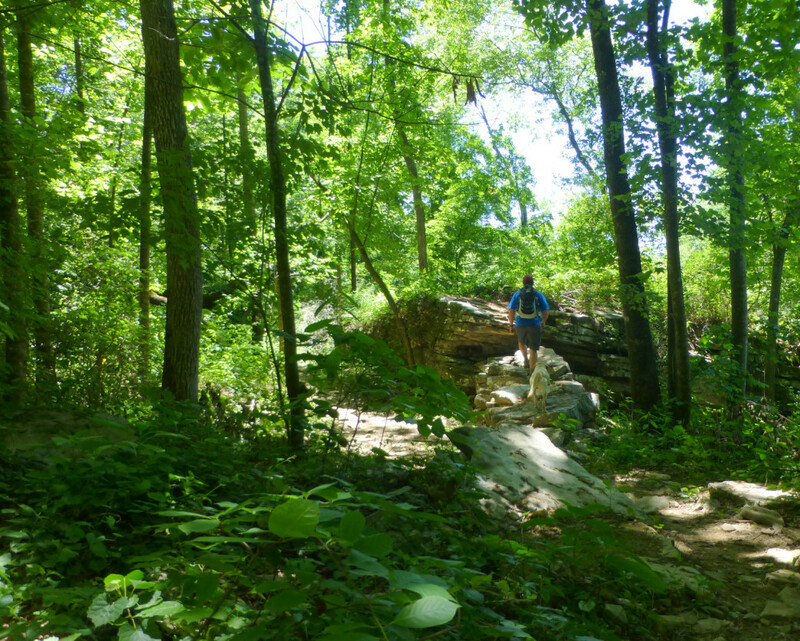 But stretches of the trail provide a rollercoaster ride through the forest, with are a few technical rocky areas. 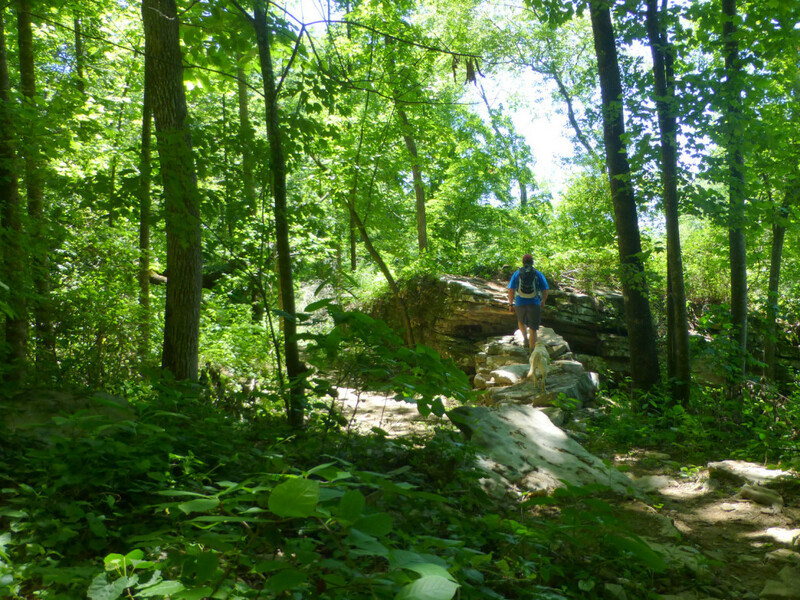 Located in a remote, rural area east of Cullman, the trail traverses open, sunny sections of the lakeshore and shady forest with pines, oaks and poplars. Eventually, at least 20 miles of trails will surround the reservoir, but for now, the path ends at the 3.5-mile mark, where a bridge is being constructed. Keep in mind that there are no restroom facilities or other amenities at the trailhead. While Smith Lake draws summer swimmers, anglers, and waterskiers, it’s also a good spot for stand-up paddleboarding. Covering 21,200 acres, Smith Lake is large enough that you can escape the masses to find calm, quiet waters and watch great blue herons soar across the water. When you enter the park, take Boat Ramp Road to the parking area behind the swimming pool. Here, you can park a few yards from the lake and launch at a swimming area where the water is calm, shallow and far removed from the boat launch area. If you’re a beginner, take a left when you enter the lake and stick close to the shore to avoid the main channel, where you’ll encounter traffic from boats and other watercraft. More experienced paddlers can head to Goat Island and return to the swimming area for a 3-mile round trip. Until about six years ago, Cullman prohibited the sale of alcohol. 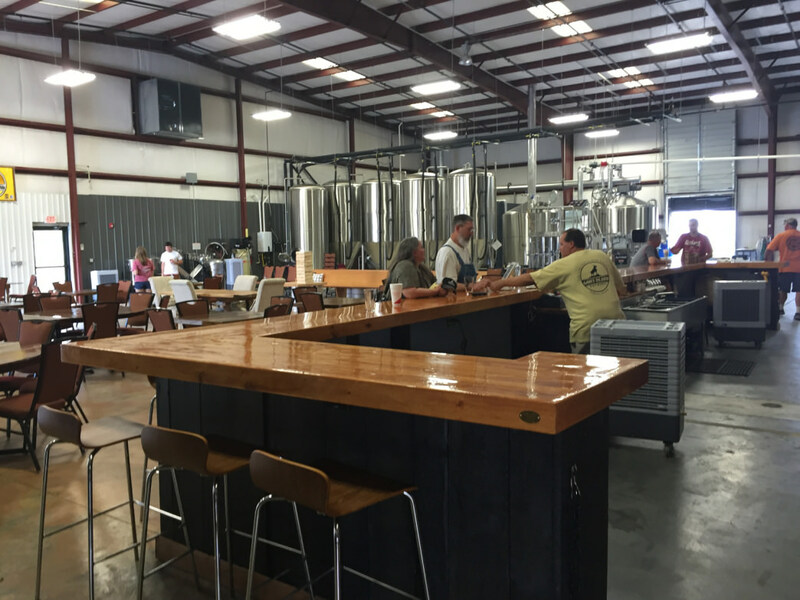 But the laws have gradually changed, and Goat Island opened its doors in 2016 as the first brewery in Cullman city limits. Named for a chunk of land in Smith Lake, the brewery sits in a massive warehouse building that includes a bar where you can enjoy everything from ales to porters. 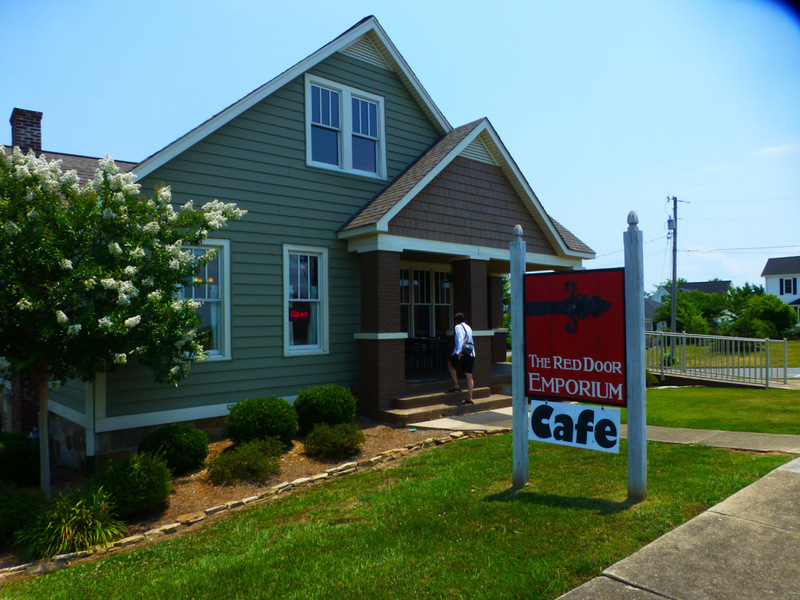 For a post-hike lunch (or pre-hike breakfast), head downtown to the Red Door Emporium Café , which occupies a house that dates back to the 1800s. Inside this casual café, you’ll really feel at home, as the layout resembles a regular house, and dining tables are tucked into many rooms lit by art-deco chandeliers. Order a tasty biscuit or chicken-salad sandwich, and, if you're feeling artsy, check out the paintings, pottery, and other artwork made by an Alabama artists (sales benefit local organizations). Whether you want to rough it or relax in an RV, the Smith Lake campground can accommodate you. In addition to 219 full-service camper sites, the park has 61 tent-only sites and nine cabins. To reach Duck Lake Reservoir from Cullman, travel east on U.S. Highway 278, and then turn left onto County Road 1651. Travel 1.5 miles and then turn right to reach the trailhead parking near the shore of the reservoir. The address is 1486 CR-1651, Cullman, AL 35058.